to be there for someone on their worst day. to give back to the local community. to be part of a bigger family. to become more confident. to save lives. to be there for someone on their worst day. to do something really big. to help other people that aren’t in a position to help themselves. to have an amazing experience. to have a crew that always has your back . to get trained, to get better. Albemarle County has a unique emergency services system. 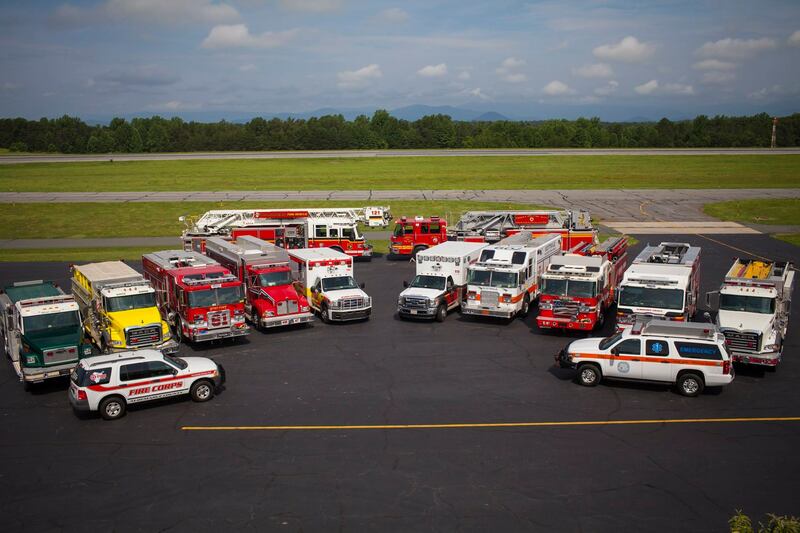 Comprised of twelve stations strategically located in all areas of the County, the system includes volunteer and career staff who cooperatively provide fire, rescue, and emergency medical services (EMS) to the citizens of Albemarle County. Together, the stations within the system serve more than 93,000 residents and have a coverage area of more than 700 square miles. We are a progressive organization whose goal is to provide the highest quality service. Our system has approximately 600 active volunteers who provide life and property saving services to our citizens. Volunteers make up more than 75% of the total number of emergency response personnel, saving Albemarle County taxpayers millions of dollars per year. We are actively recruiting volunteers for all fire and rescue stations throughout the County. Make a difference in your community and volunteer today. It’s exciting, rewarding… and a lot of fun! You can make a difference. We provide all necessary training at no cost to you and have volunteer opportunities for everyone—from EMS and fire fighting to administrative jobs helping behind the scenes. JOIN. For You. For Everyone. We’re excited you’re interested in being a Fire Rescue volunteer! As you begin to gather information about volunteering, there’s a lot to consider. This site will help point you in the right direction when considering where you’d like to volunteer. Volunteering as a firefighter or emergency medical technician (EMT) is a time-consuming commitment. You should keep in mind the travel time to and from your residence or place of business and your chosen fire or rescue station. The twelve different stations strategically located throughout the County reflect our different demographics. Some stations support rural communities, other stations support suburban communities and many stations support both. Based on the community served, some stations will receive far more calls in a day than others. As you are researching stations to assess the best fit for you and your professional/personal life, consider the amount of calls you’d like to respond to. Because some stations experience more calls than others, busier stations may require duty nights. This means that volunteers are required to be at the station overnight on a planned, scheduled basis. The goal is to respond more adequately and quickly to community emergencies. Some stations do not require this and allow volunteers to respond from home through a paging system.